I’ve been following Maschine since prototype stages. The idea was at once obvious and welcome: build a software workstation, tightly integrated with pad hardware control, that fuses hardware sampler working methods with the on-screen flexibility of software. It’s software that focuses on working with sounds and patterns, outside the DAW-style metaphors. Of course, there’s one thing you might quickly miss about your DAW – certain software instruments or effects that are available as plug-ins. That makes 1.6 the version a lot of people have been waiting for. With plug-in hosting capabilities, it could now be your all-in-one production and performance workstation – without losing the focus that first made it appealing. 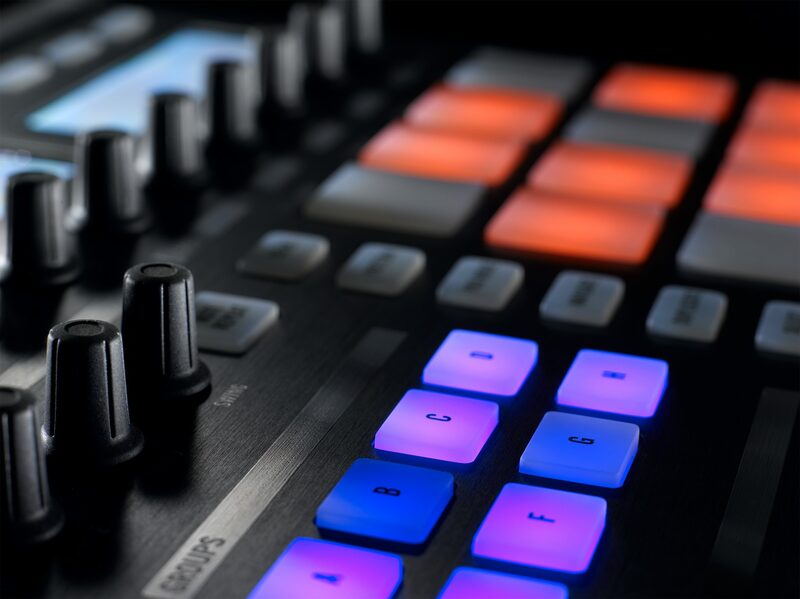 Maschine comes of age in other ways, too, from 64-bit Mac support to better control of pads and drag-and-drop function. It really seems like version 2 – and like the revision that makes an already-growing choice ready for primetime. Accordingly, while it is a marketing video, it’s fantastic to see what Underworld are doing with Maschine live. I’m enthusiastic about new drum machines introduced earlier this year, hardware and software alike. But it’d be tough to compare any of them to Maschine, particularly with this update. This isn’t a full review, but you can expect one (or perhaps more than one, from different perspectives) soon. VST and AU plug-in support. Bring in instruments and effects, and – in a feature first seen in NI software in their Kore product – automatically map parameters to Maschine’s knobs. Bundled instruments and effects. 1000+ sounds cover factory contact selected from Kontakt, ranging from Vienna Symphonic Library sounds to synths, guitar amps, and Abbey Road drums. Of course, those of you who have been chomping at the bit just to use your existing plug-in library won’t care too much about this, but it increases the appeal for those starting out. More effects slots. There are CPU cycles on your machine not yet being used by crazy Reaktor patches or your library of plug-ins. Problem solved. The architecture of slots in general has been expanded for easier assignment to modules. Pad-Link. One pad in a group can now trigger one or more additional pads. This opens up more sophisticated drum programming possibilities, or live performance grouping for triggering more complex arrangements of samples. Clip and sample renaming. Yeah. ‘Bout time. Swing individual sounds. Ideal for constructing the exact groove you want – and, indeed, often far more useful than global swing. Multichannel audio output 16 output channels out should be ideal for those working with hardware mixing. I’m just waiting to hear a Maschine artist do a set in surround. Import REX 2. 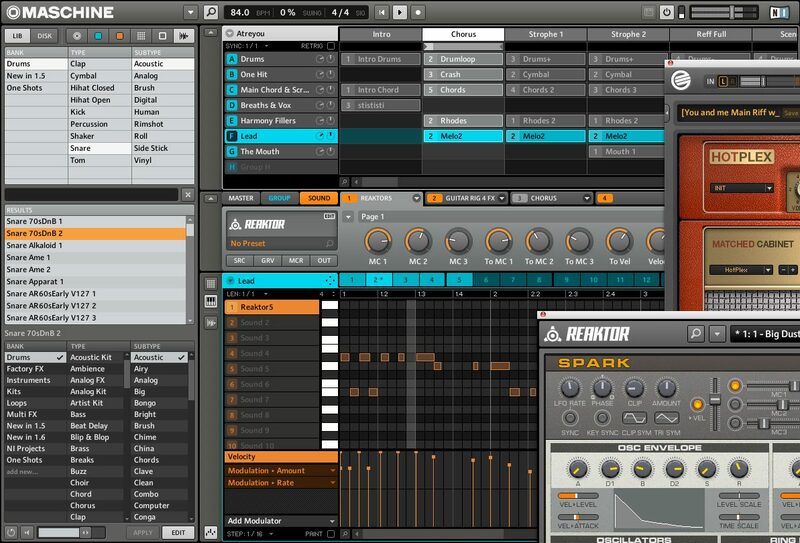 REX is the still-surprisingly-popular sample storage format developed by Propellerhead for their ReCycle product. Speaking of Propellerhead, what isn’t in Maschine, as far as I know: ReWire support. ReWire doesn’t support 64-bit computing, and as far as I know, no plans are in the works. I think it’s time for a new solution, anyway – and maybe time to do some JACK tutorials here as a possible replacement. I always feel a little dirty adding promo videos from the manufacturers, but let’s give Ski Beatz a few words, too. I’ll say this: a lot of the time, when you talk to artists – no vendors around listening – you get similar testimonials about products people love. That’s a good thing; it means people get enjoyment out of this stuff into which developers invest so much time. Also, Ski Beatz’ hat and I would like to remind you that tomorrow afternoon is Yankees opening day here in NYC. Hey, by the way, will anyone help with my campaign to pronounce Maschine with the German pronunciation (since it has a German spelling, rather than Machine)? Maybe, um, at least German people?